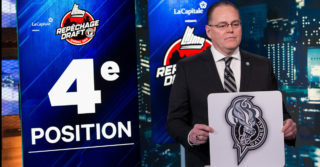 The Gatineau Olympiques have announced on Thursday that Gilles Desjardins would be leaving the team’s ownership group. 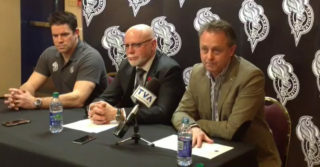 Known for his great involvement in the community, Mr. Desjardins started his involvement with the Olympiques in June 2011, in order to assure the team’s future in Gatineau. Since that goal has been accomplished and with the upcoming inauguration of the Olympiques’ new arena in the near future, he decided to bequeath his place on the team’s ownership group. “I would like to sincerely thank Gilles Desjardins for his numerous contributions to the Olympiques and to the whole community over the years. He’s a great philanthropist and his involvement with the organization will never be forgotten,” said the Olympiques’ director of hockey of operations and co-owner of the team, Alain Sear. 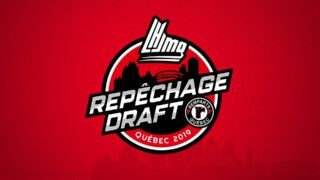 “Through his company, Brigil, Mr. Desjardins will stay in the Olympiques family as a corporate partner during the team’s last seasons at the Robert Guertin Centre, as well during the transition in our new arena,” added team President and also co-owner, Martin Lacasse. The Board of Directors, as well as the whole organization, would sincerely like to thank Mr. Desjardins for his commitment to the Olympiques and would like to wish him the best in his future projects.